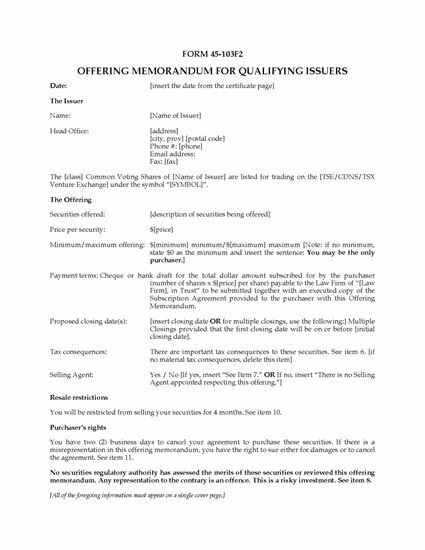 If you are a 'qualifying issuer' in Canada under Multilateral Instrument 45-102, Resale of Securities, you can use this template Form 45-103F2 to issue an offering memorandum to offer shares to investors. 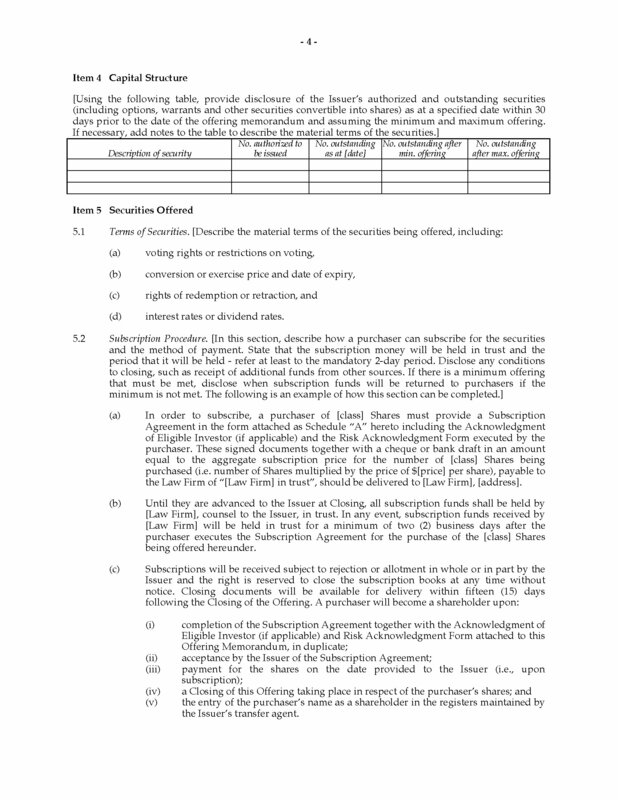 A qualifying issuer is one whose securities are listed on a specified exchange and who has filed a current Annual Information Form. 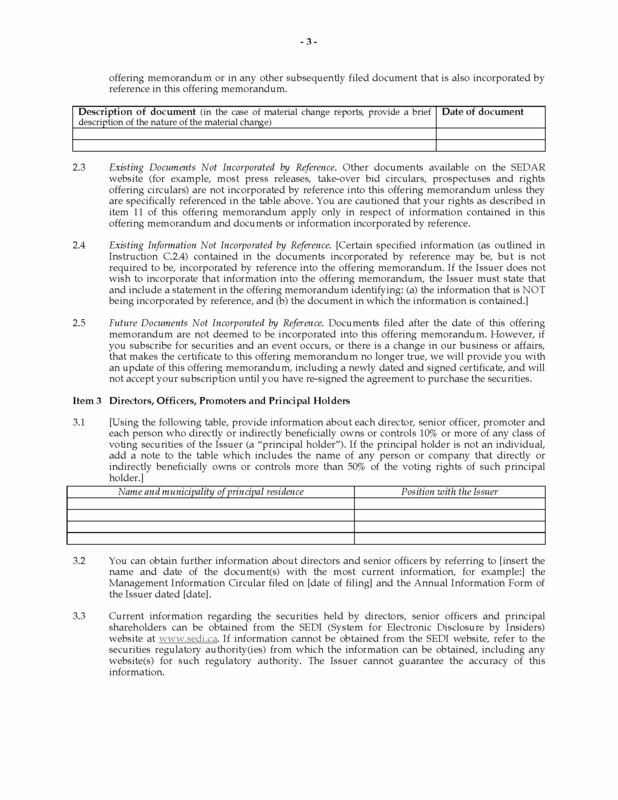 There are instructions included with the document, and examples showing you how to complete each section. 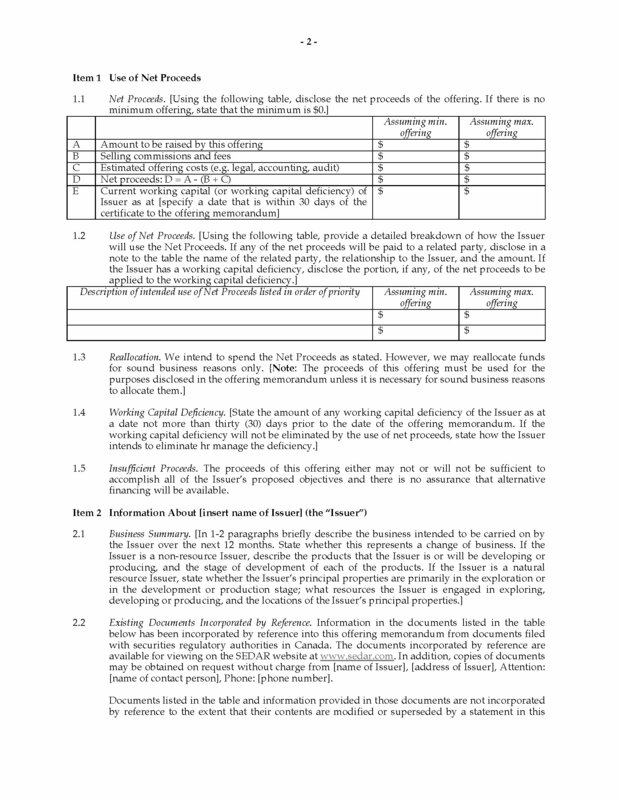 Also included is a Subscription Agreement for use in Alberta and British Columbia, and an Acknowledgement of Eligible Investor form for Alberta. 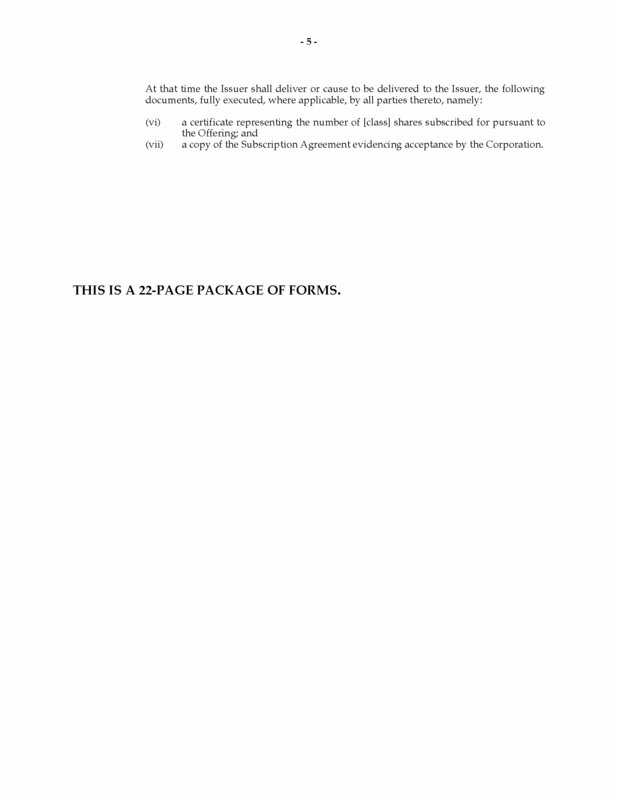 The template also contains a Risk Acknowledgement Form (Form 45-103F3). This Offering Memorandum for Qualifying Issuers in Canada (Form 45-103F2) has been updated to reflect changes as of March 30, 2004.